Who Says Golf is Dying? Colorado golf, which weathered the downturn much better than most states did is booming. Now, the outlook here and even nationwide borders on the bullish for the game of golf. 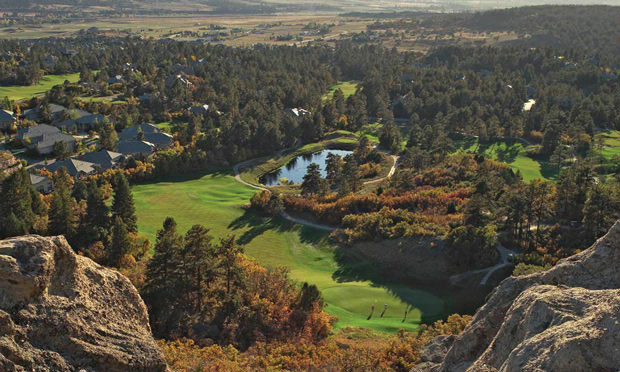 Nobody told Colorado golf, which weathered the downturn much better than most states did. Now, the outlook here and even nationwide borders on the bullish. Recent nationwide golf metrics, still mired in fallout from the Great Recession of 2007-09, are indeed sobering at first blush. Roughly 800 courses were shuttered in the past decade and participation plummeted, with the National Golf Foundation reporting that total participation dropped 20 percent from 2005 to 2016, from 30 million down to 23.8 million. The retail side was bludgeoned by the bankruptcy of Golfsmith, billed as the world’s largest golf retailer. Before the rocket-like relaunch of Tiger 5.0 this spring, TV viewership for PGA golf was getting older, grayer and smaller. Even Jack Nicklaus joined in the chorus on the sport’s underlying ills: Takes too much time, too expensive, too difficult, and not cool with kids, most of whom prefer a 3-by 8-inch screen to 7,000 yards of green grass. While not all Fake News, reports of the death of golf are greatly exaggerated, in no small part because even while its peak popularity has faded, a core group of avid golfers (who comprise one-third of participants but play two-thirds of the rounds) stayed steady and strong. And meanwhile, here in Colorado, the game on most all levels is not just evolving but arguably even thriving. The spate of headline-grabbing course closures is actually a natural correction, a right-sizing that followed the unprecedented and reckless real estate-driven building boom of the 1990s and early 2000s. More than one course was being built every day, with the total number soaring by 25 percent, from 12,846 in 1990 to more than 16,000 by 2005. The reset hit particularly hard in over-built states such as Michigan, which saw more than 200 courses close in the last few years. In Colorado, the boom-and-bust was much less dramatic. Construction did peak in the 1990s (52 new courses) and 2000s (46), but wasn’t extreme compared to the two previous big decades, the 1970s (43) and ‘80s (37). 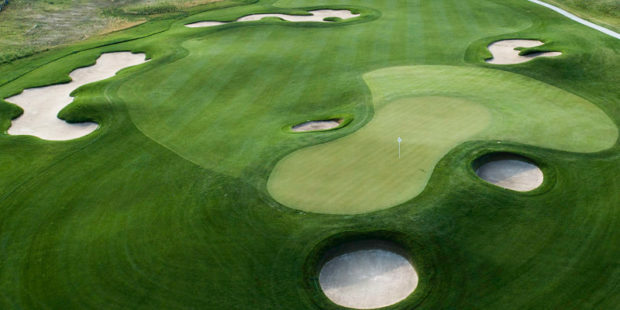 High-profile venues like Colorado Golf Club in Parker and The Golf Club at Ravenna in Littleton confronted and overcame serious financial obstacles, while just five courses actually closed over the past decade. The RIPs included Fitzsimons in Aurora, which had opened in 1918, and Denver’s historic, circa-1920s Green Gables Country Club. Park Hill, founded in 1931 near Colorado Boulevard and I-70, is unlikely to survive past 2018. Coloradans might bemoan the bumper-to-bumper traffic, but the state’s heady population and economic growth helped it weather the storm better than most. Since 2010, population surged by 577,000, an annual increase of 12 percent, ranking it sixth in the country in growth. Meanwhile, Colorado’s GDP for the past decade has grown at 50 percent higher than the national average. 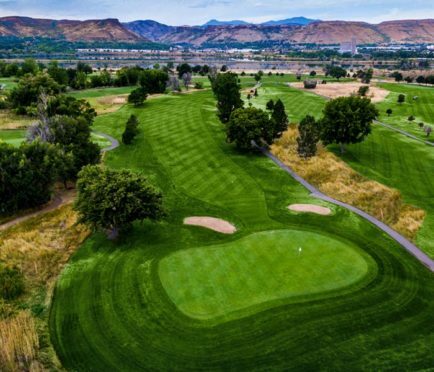 This summer, for the first time since the Colorado Golf Association’s Tom Doak-designed CommonGround Golf Course opened in 2009 (it was actually a total redo of Aurora’s Mira Vista), the state will welcome a new facility. It’s been worth the wait: The semi-private TPC Colorado in Berthoud, opening to the public Aug. 1, is special in many ways, ranging from its intriguing Art Schaupeter design to hosting Web.com tour events beginning in 2019 (along with the unspoken expectation that someday it will become home to annual PGA Tour stop, filling the void left by the 2007 exit of The International after a 21-year run). 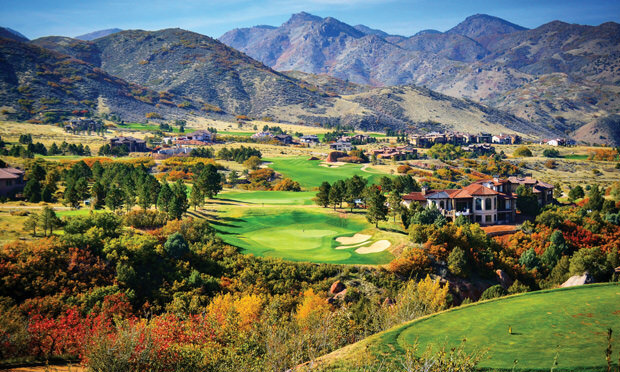 The TPC will be bracketed geographically in 2019 with the grand openings of the Fred Funk-designed RainDance National Golf Club in Windsor and Flying Horse North, 10 miles northeast of the original Club at Flying Horse in Colorado Springs. Ed Mate, the 18-year executive director of the Colorado Golf Association, is clear-eyed and data-driven in confronting golf’s challenges and realities. He can quickly recite the many mistakes of the past and the very real barriers to success on the horizon. 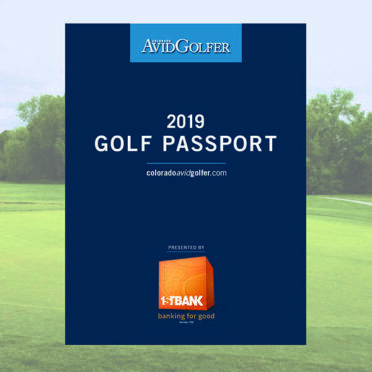 He notes that, according to CGA surveys, public-access golf rounds played along the Front Range have been “stable” for the past 25 years, toggling between 1.6 and 1.8 million annually depending on the weather. He’s also bullish on the future. “I think we are about to enter the Golden Age of Golf,” he says. Even before the Great Recession, Colorado’s Front Range private clubs got scared straight, largely because a plethora of new clubs had opened recently and suddenly there was an abundant over-supply. The only waiting lists back then and were to get out of clubs, not in. “Maybe we just paid a little more attention,” says Mark Condon, who is the general manager of The Ranch Country Club (above) in Westminster, which also serves the rapidly growing northern communities of Broomfield, Thornton, Louisville and Lafayette. Condon, who has run clubs in the Denver area for 35 years, has enjoyed a front row seat at the evolution, as clubs transformed from male-dominated refuges for low-handicappers to social assets for entire families. Today’s typical member profile is a dual-income family, often led in wage-earning by the female, that has little precious free time and wants to spend it together in a “third place” (after home and work) that will appeal to everybody. The quality of the golf course still matters, and clubs have spent millions of dollars renovating their tracks. But The Ranch and many others have also poured their resources into expanded new clubhouses and put an emphasis on non-golf amenities: a multitude of kids programs, fitness centers, expanded swimming pools and indoor/outdoor tennis facilities. Another common theme is re-orienting facilities to embrace the outdoors, with sprawling patios—dubbed Golfer’s Perches—re-imagined to take full advantage of sunsets and mountain views. “Bringing the outdoors in, or the indoors out,” Condon calls it. 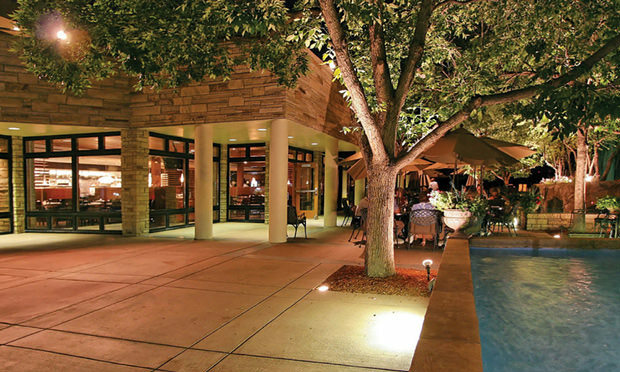 There are wine tastings (and wine lockers), poolside happy hours, themed dinners, and regular live music. Dining has evolved from white tablecloths for the parents to relaxed casual for the family, and Condon says The Ranch now does 200 dinners on busy nights, more than doubling past activity. 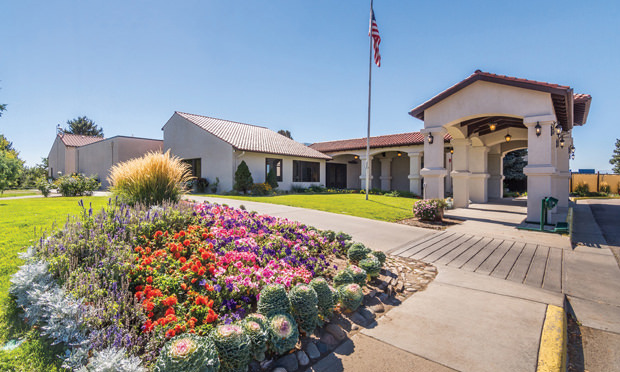 After spending $5.5 million to renovate and expand the clubhouse, The Ranch has added 100 new members, and rounds have jumped from 25,000 to 32,000 (partly because the entire family is involved). Variations on the traditional four-hour, 18-hole round abound, with shortened tees and 6-hole loops. At Fort Collins Country Club, 25 to 30 percent of the members don’t even carry USGA handicaps, roughly a threefold increase from previous trends. “It’s more about just playing golf than competition,” says GM John Stebbins, who adds that an eye-popping 65 percent of the rounds are walkers. Particular attention has been paid to practice ranges, where new features, games and competitions are critical. “Rather than a place to warm up for 10 minutes before a round, the practice range has become a destination,” Condon says. 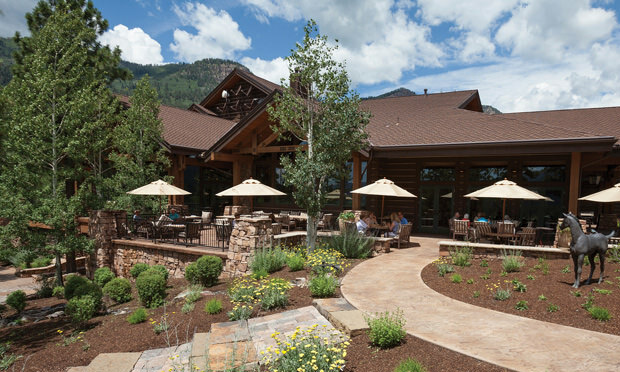 The breathtaking $25 million clubhouse at Columbine Country Club in Littleton is the shining star of this diversification trend in Colorado, and arguably the most significant clubhouse upgrade in the entire country. Similar investments of note have also been made in the last decade at Glenmoor, Red Rocks, the Country Club at Castle Pines, Castle Pines Golf Club and Glacier. 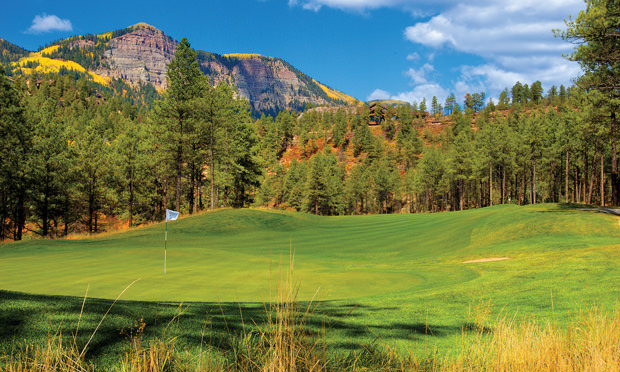 Glacier, in Durango, also brought its hole total to 36 last year with a new nine designed by Hale Irwin and Todd Schoeder; Lakewood is undergoing a course redesign by Gil Hanse; and both Castle Pines courses have had many recent modifications by Jack Nicklaus’ team. The reinvention is hardly limited to private clubs. Three miles west of Columbine, Littleton’s Raccoon Creek Golf Course pumped roughly $4 million into a bigger, better clubhouse that will open this month. The City of Arvada’s West Woods Golf Club spent $7 million to rehab and expand its clubhouse and improve its golf course. 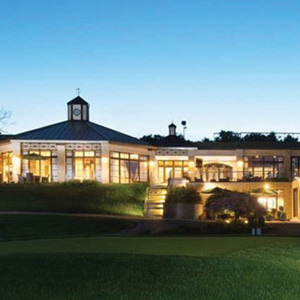 Thorncreek shut down in 2017 so it could complete its own $7 million in course and clubhouse upgrades. South Suburban in Centennial did a $3.5 million project and now sports a 7,772-square-foot clubhouse with mountain and course views. 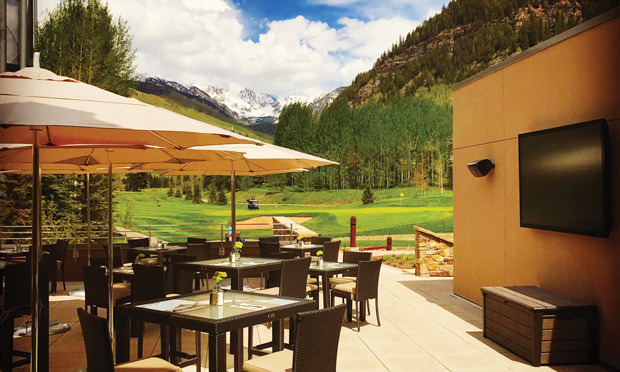 A $12 million project transformed Vail Golf Club’s modest clubhouse into east Vail’s premier event center, the glorious Vail Golf and Nordic Clubhouse. 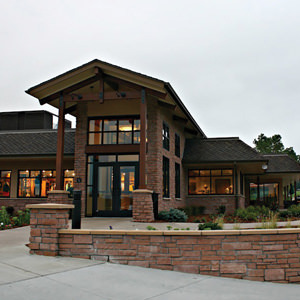 By August, Green Valley Ranch Golf Club in Denver will have demolished its clubhouse and replaced it with a neighborhood restaurant and Oakwood Life Center (the golf shop moved into the Golf Academy building in April). After a major stormwater retention job, Denver’s City Park will reopen in spring 2019 with a relocated clubhouse and a full driving range. 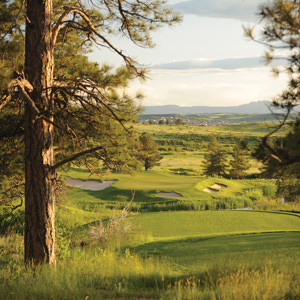 While private clubs have been working to transform themselves into the community gathering place for members, public courses such as Applewood in Golden have long been the essential fabric of their communities. Neighbors around Applewood actually voted overwhelmingly in 2015 to tax themselves so the land would remain as open space rather than become a housing development. “The community saved us,” Applewood GM Brian Melody says. The facility is not just 18 flags in the grass, but the go-to place for weddings, wakes, anniversaries, graduations and, just recently, 400 guests for Easter Brunch. Efforts to ensure a brighter future for golf need to start at the beginning, and that’s with junior programs and learn-to-play initiatives, especially those targeted at traditionally tough demographics such as women and minorities. While the industry took its eye off grassroots programs during the go-go years of overbuilding, there’s been an unprecedented emphasis on junior programs nation- and statewide—including the team-concept PGA Junior League, Drive, Chip & Putt, the flourishing LPGA USGA Girls Golf, and a host of others. The stunning First Tee program at Rethlake’s Denver city courses is the second- largest in the world, growing from 2,000 to 7,500 participants since 2011; it’s on track to reach a goal of 10,000 by 2020. The CGA’s CommonGround is the poster child for junior programs, and home to the life-changing Solich Caddie & Leadership Academy (statewide, caddie rounds continue to grow, reaching almost 40,000 in 2017, according to a CGA survey). Lake Valley Golf Club north of Boulder had virtually no junior program in 2015 when head pro Cameron Morton arrived, and now sells out each of its three sessions for kids ages 4-7 and 8-13. At Applewood, juniors pay $29.95 for a membership card, entitling them to play rounds for just $4 each. A main goal of the PGA TOUR Superstore in Greenwood Village is to educate kids about golf, starting with its 2,000-square-foot indoor putting green, so they will fall in love with the sport (in much the same way The Home Depot, also founded by Arthur Blank, taught kids how to build birdhouses so they would become lifetime DIYers). TopGolf, with a location in Centennial and another coming in Thornton, might be more about cocktails than golf, but it undoubtedly advances the cause. At The Ranch in Westminster, all new members get free lessons, and GM Condon is considering expanding that to include all members. The bottom line is that despite national headlines to the contrary, Colorado golfers have much to be excited about. The state is a nationwide leader in junior programs. 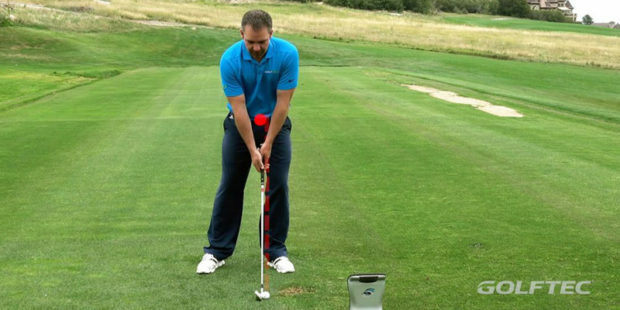 Golf clubs are working hard to play a larger role in your lifestyle. After watching Tiger and Phil battle the young guns on TV, you have the pick of the litter at courses both public and private that have spent tens of millions of dollars tweaking their facilities—and are even getting savvy with digital media to keep you excited and informed. In the final analysis, it seems Colorado golf is closer to a boom than it is to a bust—perhaps even entering Mate’s Golden Age. 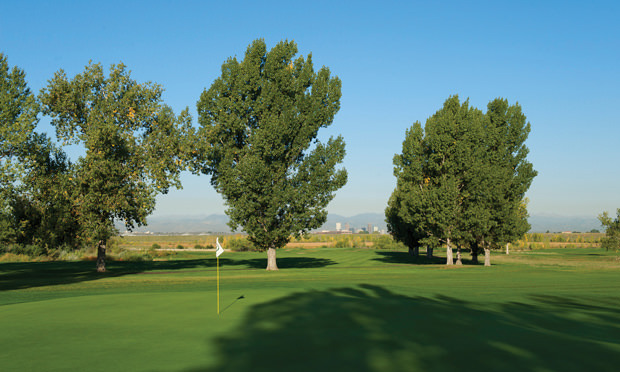 Contributor Andy Bigford is a member of Lake Valley Golf Club in Niwot. 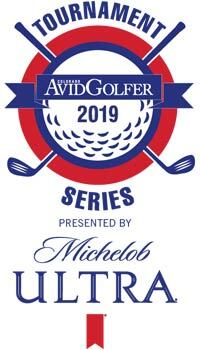 This feature-length article appears in the May 2018 issue of Colorado AvidGolfer, the state’s leading resource for golf and the lifestyle that surrounds it, publishing eight issues annually and proudly delivering daily content via coloradoavidgolfer.com.